Federal Cocaine Case Defense Attorney - Oberheiden, P.C. What Are the Sentences in Federal Cocaine Cases? One of the most important questions when being accused of having violated federal drug statute, is to find out what the statutory sentences look like in a worst-case scenario of conviction. The attorneys of Oberheiden, P.C. have handled some of the largest federal drug cases and federal drug conspiracies in courts across the country and on standby to help clients to get their drug charges dismissed. 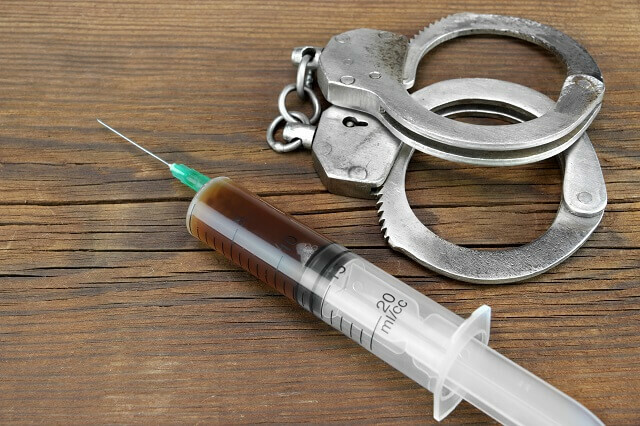 The following is a brief summary of statutory sentences in the context of federal drug charges. Conspiracy to possess with intent to distribute and to distribute less than 28 g of crack cocaine is punishable by not more than twenty (20) years imprisonment with a possible fine of up to $1 million plus no less than three (3) years supervised release. Conspiracy to possess with intent to distribute and to distribute more than 28 g but less than 280 g of crack cocaine is punishable by not less than five (5) years and not more than forty (40) years imprisonment with a possible fine of up to $5 million plus no less than four (4) years supervised release. Conspiracy to possess with intent to distribute and to distribute more than 280 g of crack cocaine is punishable by not less than ten (10) years and not more than life imprisonment with a possible fine of up to $10 million plus no less than five (5) years supervised release. Conspiracy to possess with intent to distribute and to distribute more than 500 g but less than 5 kilograms of cocaine is punishable by not less than five (5) years and and not more than forty (40) years imprisonment with a possible fine of up to $5 million plus no less than four (4) years supervised release. Conspiracy to possess with intent to distribute and to distribute more than five (5) kilograms of cocaine is punishable by not less than ten (10) years and not more than life imprisonment with a possible fine of up to $10 million plus no less than five (5) years supervised release. Possession with the intent to distribute less than 500 g of cocaine is punishable by not more than twenty (20) years in prison with a possible fine of up to $1 million plus no less than three (3) years supervised release. Distribution of less than 500 g of cocaine is punishable by not more than twenty (20) years in prison with a possible fine of up to $1 million plus no less than three (3) years supervised release. Because each case is different with respect to the amount and type of drug charged with, it is important to discuss your own case in your own circumstances with one of the experienced attorneys of the Oberheiden, P.C.. Also note that many other factors can impact the criminal exposure in federal drug cases. For example, the government may add firearm or money laundering charges. Possession of a firearm by a felon is punishable by not more than 20 years’ imprisonment with possible fine of $250,000 plus not more than three (3) years supervised release. Money-laundering is punishable by not more than 20 years’ imprisonment with possible fine of $500,000 plus not more than three (3) years supervised release. If you are facing federal drug charges, you should seek legal advice immediately. The attorneys at Oberheiden, P.C. can provide you a detailed case assessment.